Product prices and availability are accurate as of 2019-04-13 12:34:08 EDT and are subject to change. Any price and availability information displayed on http://www.amazon.com/ at the time of purchase will apply to the purchase of this product. Brand New Bulk 12 pack. 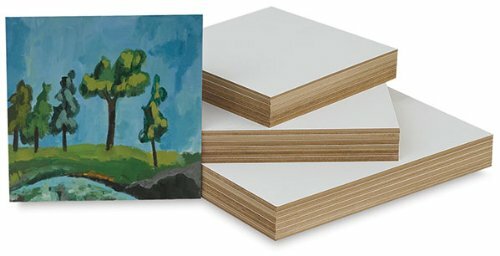 The advantages of painting on a prepared wood panel, minus the stretching, sagging, and priming associated with canvas panels. Experience better brush control, superior paint application, and brighter, more intense paint colors. Pre-primed to create a fine-weave linen texture, these 1/8" thick, non-warping panels require less paint to cover, making them more affordable, too.